A trip to a country rich in cultural experiences is postponed long by a family with small kids. So when my little ones became old enough to know the difference between Kathakali and Flamenco, and recognize a painting by Van Gogh or Picasso, I knew it was time to go to Italy. As a classical dancer from a land so rich in culture, I wanted to examine just why this powerful religious space was also reckoned as the cultural capital of the world. Yet I knew that every country is so vast as a cultural experience, one cannot do justice to it in a few weeks. So we zoomed into the Amalfi coast. 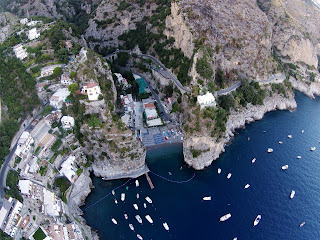 The exquisite coastal beauty of the Amalfi coast is much talked about in all travel magazines. As we drove into the coastal stretch on our taxi ride from Naples, I confess of being a bit wary. Was this to be like any sunny, beach experience in Europe? How was it any different from an Antalya or Malaga? The week that followed silenced my inner critic and replaced it with great admiration for a cultural community so proud of its heritage. The Amalfi coast had not just natural beauty but also people so warm and engaging, they knew the art of living, of how to take a pause. They lived a conscious life, responsible to their natural environment and joyously celebrating their artistic heritage in their daily lives. The Amalfi coastline is full of green hills, dotted with small villages or towns that present their own vantage point of the landscape. 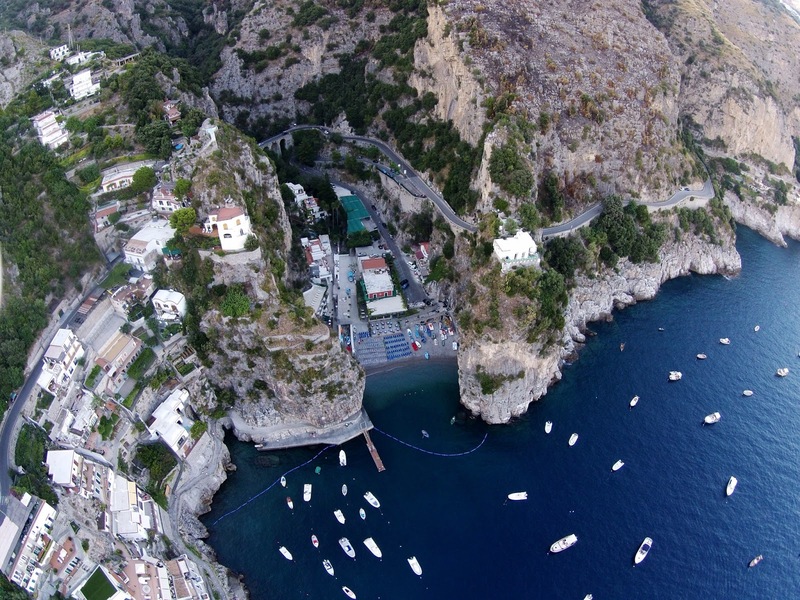 So if Positano and Praiano are villages which give you gorgeous, sunset sea views, Maori and Minori are villages right on the beach, close to the sea with lovely promenades and cobbled-street towns. As a contrast, there are villages high on the hills, like Ravello and Tramonti, world famous for their own specialties. Ravello is called the city of music, where international music concerts happen in historic Roman villas. We had the fortune of attending a ‘String Quartet’, where on their violins, viola and cello the artistes treated us to pieces composed by the 19th c. classical musician Felix Mendelssohn-Bartholdy. Such is their fierce musical pride that the entire concert note only mentioned the details of Bartholdi’s life and compositions. The audience only knew the names of the magician-like musicians, who created waves upon waves of musical delight for our ears. 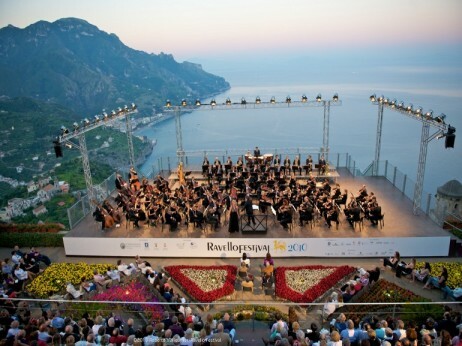 Ravello has such concerts in historic settings all through summer and even hosts a magical sunrise concert in an open-air stage that is the most breathtaking, ocean-overlooking, mountain- perched experience of music possible. Nature becomes the perfect setting for a spectacular moment created by artistes who have dedicated their whole life to an instrument. Tramonti in the hills, is the name for a village famous for its wines. ‘Tramonti’ in Italian is the area between the mountains, and this village produces the most remarkable full-bodied wine in Italy. Apart from the numerous grape orchards seen all over Amalfi mountains, is the ubiquitous presence of the lemon tree. In every Amalfi town and village, and even inside hotels there are lemon groves in full blossom. Surrounded by so many lemons, hanging over our heads in a balcony overlooking the sea, I found myself humming ‘the Lemon Tree’ song by the group Crowded House! These big, luminous yellow lemons have pervaded the Amalfi landscape and culture such that there is beautiful representation of them everywhere : in endless ceramics, lemon ice-cream and the famous Amalfi limoncello! But more than these tactile, visual moments was a hidden gem-like quality about the Amalfi coast : how everyone celebrated the arts and rejoiced in every form of it! 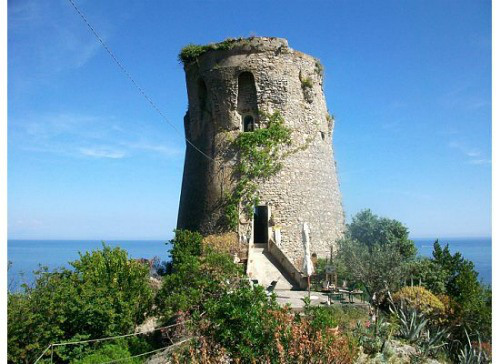 While walking to the beach, we came upon an old tower by the sea, and went up to find the artist Paolo Sandulli working in it as his studio. From there he painted and sculpted the sea life and the beautiful coved beach of Marina di Praia. We walked back to the hotel with a painting of the beach, and my son was thrilled that the artiste wrote a special note for him in his catalogue. The artiste in the tower, will always be a special memory for us, a coming together of history and art! In Italy as well as the Amalfi coast there are many such rich moments: where the taxi drivers describe their coastal villages like a history professor, rich with anecdotes and stories; where every town has a space where they organize musical concerts for all, to the extent that they even have a special city of music! Children are not charged in many historic sites like Pompeii, to encourage them to explore their history through architecture, and even the airport in Rome is named after their cultural icon Leonardo di Vinci and not any recent political figure. For what is art, but a sensitivity towards our environment, a higher level of consciousness, where nature appears more alive than ever, and pervades every cell of our being. In such moments iconic musicians like Richard Wagner created symphonies in Ravello and geniuses like Leonardo di Vinci found ideas about the universe appearing on to his sketchbook. Artistes create from their world of ideas in not just beautiful surroundings, but a rich social climate where the community takes pride in their ideas as their own. They know very well that artistes and scientists are forever engaging with the mysteries of the universe. Italy, especially the Amalfi coast, is a space which is inspired in this respect, forever celebrating their identity, as one with all the arts and artistes that reside in it.